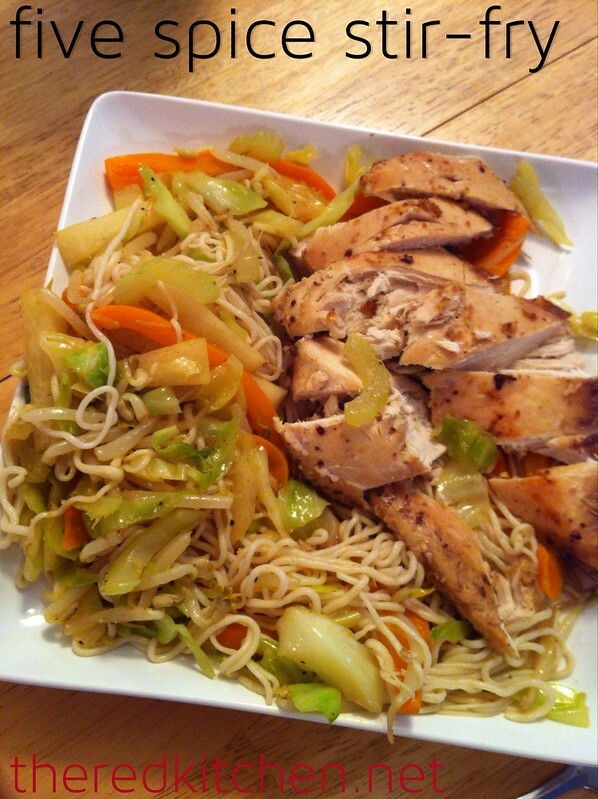 Stir-fries are so customizable and easy to enjoy while sticking to a healthy diet. This marinade idea worked well for both vegetarian and meat eaters alike, and these veggies are lower on the glycemic scale for people watching their carbs. Spices are a great way to add flavor with less fats, and the sesame oil has a rich flavor that makes the amount go further. Place each type of protein in its own casserole dish. Add 1 cup of the marinade with each protein serving. Refrigerate at least 30 minutes to allow absorption. Preheat oven to 350°. Bake for 45-60 minutes or until liquids around tofu are bubbling and reduced or until chicken has no pink in the center. Vegetables: this combination is enough to go with 2 servings of protein. 1 package shiritaki noodles (spaghetti style), rinsed and drained several times. To serve, put half of the veggies on each plate. Top with the protein serving. Optionally, add some sauce (teriyaki, peanut sauce, or hot sauce) and peanuts for flavor.